When someone mentions San Diego, what do you see? Sea World, tanned surfers, drinks on the beach; all of these are part of the mythos of this crown jewel of Southern California. But the beachfront stalls and surf shops are only the tip of the iceberg, assuming an iceberg could ever survive in sunny SoCal; between its amusement parks, its ocean sports, its museums and its nightlife, San Diego attractions truly offer a vacation like no other. Enjoy over 70 miles of beaches, check out a thriving theater and arts scene, and if you’re adventurous, consider taking the short trip across the border to Tijuana, Mexico. Or if the arts are more your things, San Diego has you covered, with thriving theatres and art galleries at every turn. Keep on reading to see our list of the top things to do in San Diego. 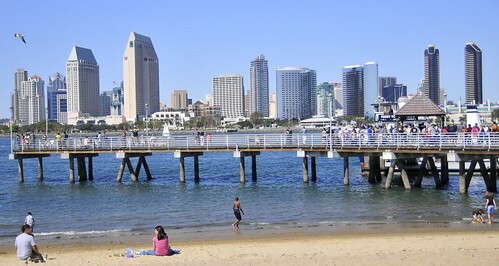 With a population of over 1.3 million, San Diego is the second-largest city in California and is among the fastest growing cities in the country. The city has a strong naval presence, serving as the home port of the U.S. Pacific Fleet, and has a major presence in the fields of wireless electronics and biotechnology. The region has a long and storied history as well; the first European settlement in California was the mission of San Diego, and the city was the site of several engagements in the Mexican-American war. The city has seen fortunes and industries rise and fall and faced its own decline and renewal, and today is a vibrant mover and shaker in American culture that hosts millions of visitors from all over the world each year. The possibilities are endless! With Transfercar’s free car and R.V. rental services from major U.S. cities, you’ll have plenty of money to enjoy your San Diegof vacation. High-powered centre of commerce by day, intense hotbed of entertainment by night. 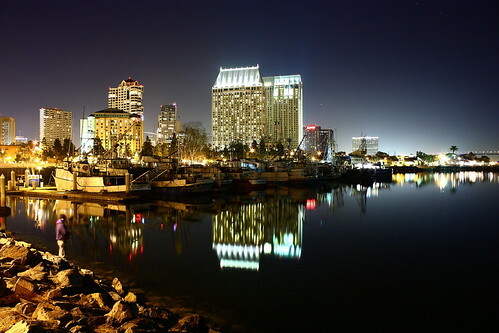 That’s what you’ll find when you visit downtown San Diego, with its commanding skyline and revitalized tourist sectors. Pay particular attention to the Gaslamp Quarter, a recently restored sector of historic theatres, pubs and restaurants that serves as the core of San Diego’s eclectic nightlife; and Horton Plaza, an upscale shopping district named for the founder of the neighbourhoods that now make up downtown. And don’t forget to visit the waterfront and its museums, including the USS Midway, the most visited floating museum in the world! If you’re perusing San Diego attractions in search of the perfect beach, you’ll need look no further once you arrive in the adjacent neighbourhoods of Mission Beach and Pacific Beach. Mission Beach is known for the Belmont Park amusement park and its attractive (and expensive!) vacation rentals. Pacific Beach is the heart of surfer culture, with boardwalks, bars and cafes where you can enjoy the sunny days and the matchless nightlife with the (mostly young) locals and visitors alike. Just beware the rush; during the summer months, the population swells with seasonal visitors, making it a good idea to look for less crowded times to pay your visit. Lodging tends to fill up quickly during the summer, and also gets increasingly expensive as you get closer to the beachfront. San Diego might be an economic and cultural powerhouse today, but it rose from far humbler beginnings. The oldest of the California Missions, San Diego de Alcala, can still be found here, as can numerous other historic sites and museums. While you’re exploring the time-worn paths of Old Town, be sure to save time for Mission Valley, where you’ll find multiple shopping centres and more historical sites for your enjoyment. Don’t want to drive? Hop a ride on the trolley, which will get you everywhere you want to be while riding in impeccable style. With so much to offer to so many types of visitor, it’s hardly surprising that San Diego is one of the top tourist destinations in the country year after year. If you’re ready for some fun in the sun, no matter the season, you can’t go wrong here. For more information visit Transfercar’s free car and R.V. rental service can make your San Diego vacation memorable.